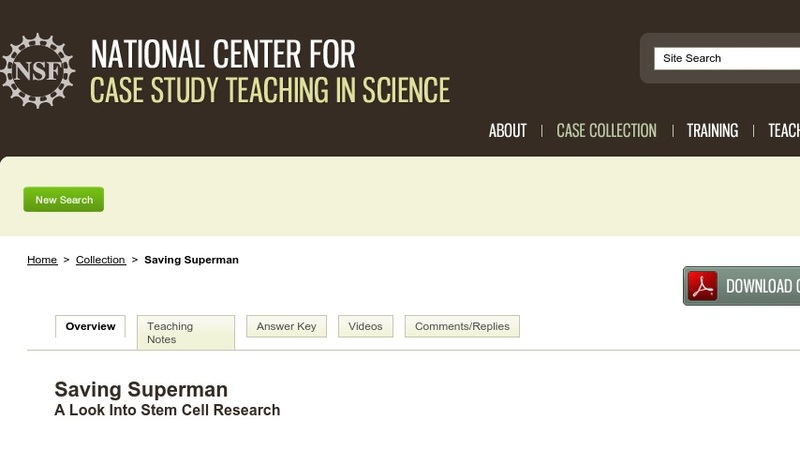 Using a combination of directed case method and role-playing in which students learn about their roles using the jigsaw technique, this case study teaches about the main concepts of stem cell research and therapy and the political and ethical issues surrounding these subjects. The case begins by describing the riding accident that left actor Christopher Reeve paralyzed and ends by posing a final open-ended question that encourages student debate and discussion. The case can be used in a general biology class, an ethics class, or a public policy class.